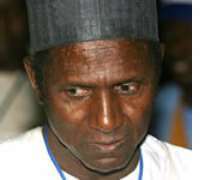 Three legal challenges have been filed against Nigeria's President Umaru Yar'Adua, who has been in a Saudi hospital for the past six weeks. The Nigerian Bar Association is demanding that he hand over power to his deputy Goodluck Jonathan. The other suits say cabinet decisions made in his absence should be annulled and he should be sacked. And a rights group wants him declared "missing". Many Nigerians are feeling there is a power vacuum in the country. The Nigeria Bar Association asked the Federal High Court to compel the federal executive council to start the process of handing over power to Vice-President Jonathan. The government asked for seven days to review the cases and the judge agreed, adjourning the hearing until 14 January to allow the three cases to be consolidated. Correspondents say the situation is complicated because of the system of alternating power between north and south. Mr Yar'Adua is a northerner while Vice-President Jonathan is from the south so, if he were to assume presidential duties, this would shorten the north's "turn". Doctors say the president is suffering from acute pericarditis - inflammation of the lining of the heart. He also has a long-standing kidney complaint. Rights lawyer and activist Femi Falana wants judges to annul all decisions taken by the cabinet during the president's absence. In the other case, senior opposition activist Farouk Adamu Aliyu is asking the Federal High Court to sack the president due to his failing health and for failing to abide by the provisions of the constitution. The National Assembly resumes on Tuesday after its Christmas break and will be faced with the request from the Human Rights Writers Association (Huriwa) to officially declare the president "missing". It also wants the National Assembly to send out a search party for him and says Nigerians should recall their legislators if they fail to take action. Last week, a new chief justice was sworn in despite Mr Yar'Adua's absence. Some lawyers have challenged this, as the constitution states that chief justices should take the oath of office to the president. Instead, the ceremony was presided over by the outgoing chief justice. He denies claims that the ceremony was illegal.